Every year the Rotary Club of Hawthorn hosts and manages an exhibition of art works by Grade 6 students from primary schools throughout the City of Boroondara. The students whose works are considered to be of special merit are awarded a special certificate and a book voucher. The 2011 exhibition was yet another resounding success. 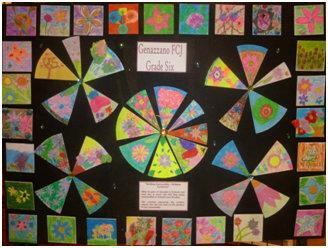 Glenferrie Primary School has been a major contributor to the Rotary Club of Hawthorn Grade 6 Student Art Exhibition each year. This year, their contribution was matched with well deserved success. 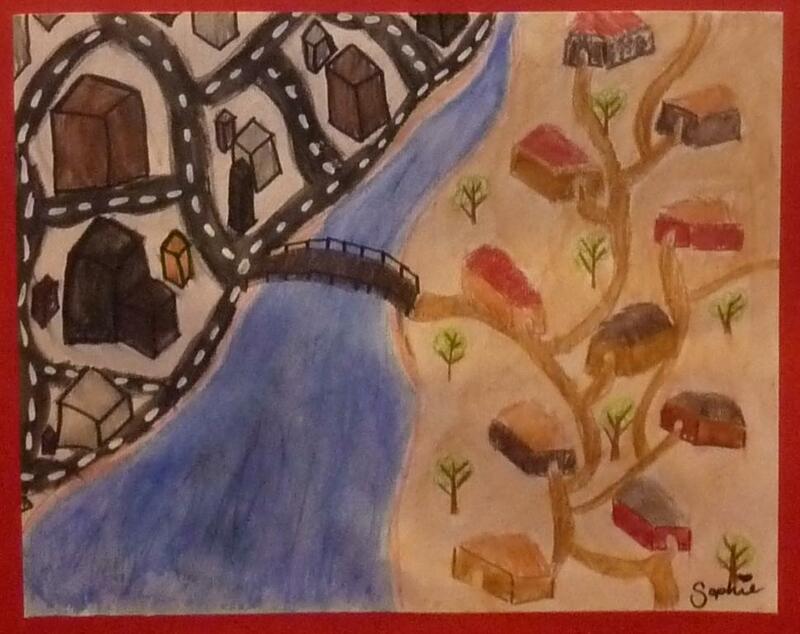 Congratulations to Sophie, whose work titled “The Link” was judged the overall best work of the exhibition. Sophie was awarded an Overall Winner certificate, and a $100 book voucher kindly donated by our sponsor, Dymocks of Camberwell. The colours used in Sophie’s depiction of the cityscape versus the parched, open spaced communities were in themselves evocative, and the perspective was well executed. Alannah Harris from Glenferrie was awarded a special commendation certificate for her work titled “Small Towns, One Big Community”. Trinity Grammar students presented an excellent series of works that depicted natural disasters, and their class discussion of the subject revealed the community spirit and re-building that follows these events. 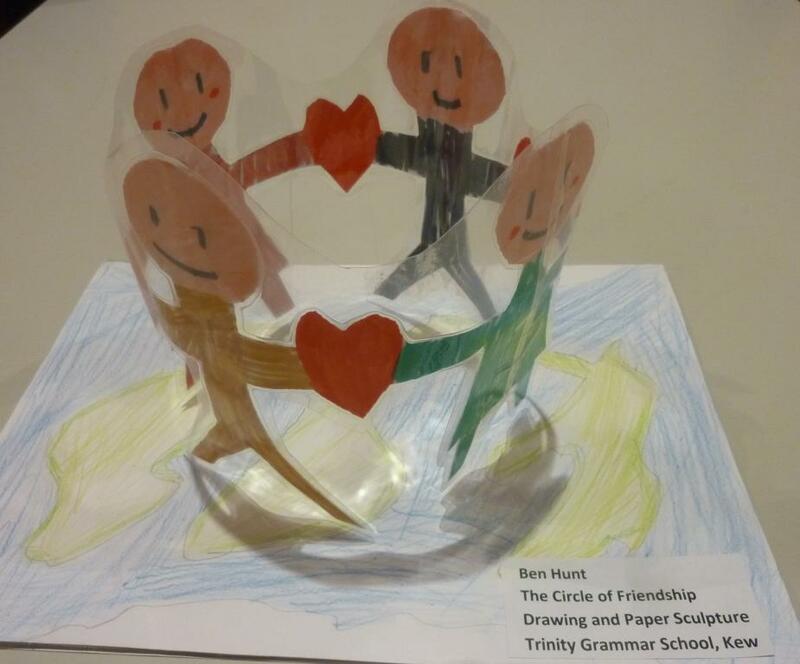 A 3-D work by Ben titled “The Circle of Friendship” was nominated as the school winner, and Ben receives a certificate and $50 Dymocks book voucher. “The Bird of Light” by Denis was awarded a special commendation. 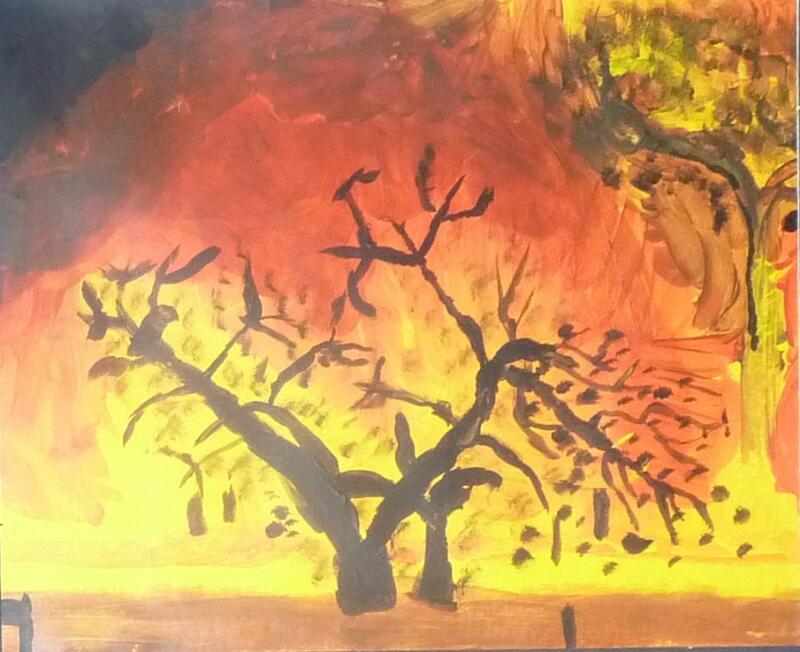 The bushfire works were very good examples of the use of strong light and dark tones to depict the intense heat and light of fire. Chatham Primary School students used a “print” medium for their works. This gave rise to a collection with vibrant colours and clever graphic arrangements. The nature of their work was varied, but the underlying theme of transport and communication was dominated by depictions of boats – perhaps a recognition of this form of transport in cross-border immigration that “bridges continents” to build new communities in a new homeland. Josh’s entry illustrates the vivid colouring achieved by the students, and combined with the use of perspective this work stood apart from others. Josh receives the Chatham Primary School winner award certificate and $50 Dymock’s book voucher. Genazzano submitted a collage of student works based on their studies of the impressionist art of Vincent van Gogh. The flower theme gave rise to a variety of interpretations and approach – some geometric, others more flowing and integrated, and some stylistic in their execution; van Gogh would be proud of these variations. For their collective submission, Hawthorn Rotary Club President Meredith Hayes presented Genazzano art teacher Jenny Spruch with a special commendation certificate and a Dymocks $50 book voucher for the school art library.